If you grew up in Vancouver you have probably heard of, or better yet, have been to the Vancouver Aquarium. It was an honour to be able to take our kiddos to spend a day with the ocean life. 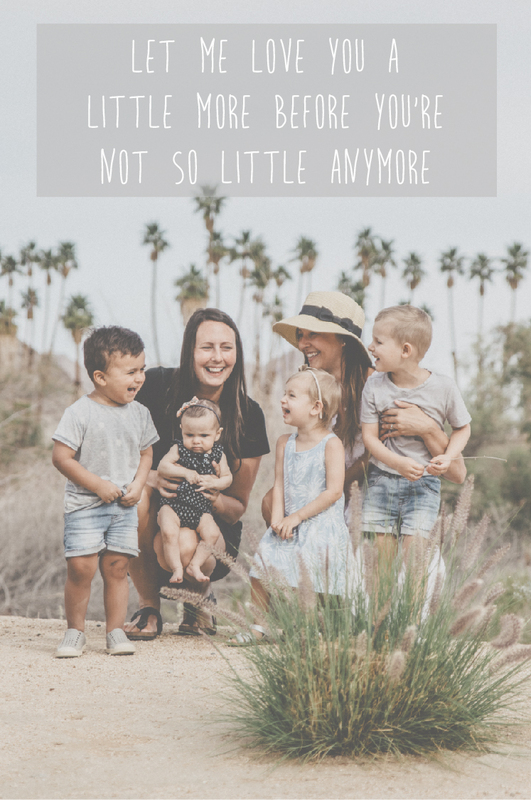 We loved that there were so many different places to explore, including outdoor areas as well. Watching the baby sea otter -Hardy- somersault, swim, flip and twist all throughout the water was incredible! Hardy is still a pup and we loved watching him roll around in the ice cubes! Kinsley's favourite moment of the day was touching the Sting Rays. 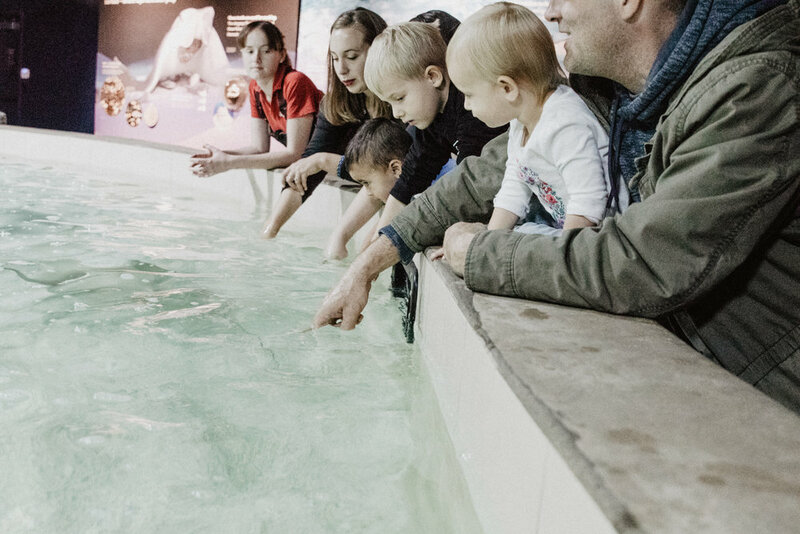 The Vancouver Aquarium has created a beautiful interactive feature where guests can come and actually touch the Sting Rays. We all were able to feed squid to the Sting Rays as well and it was hilarious to watch the adults squirm as the Sting Rays grabbed the squid out of their hands. 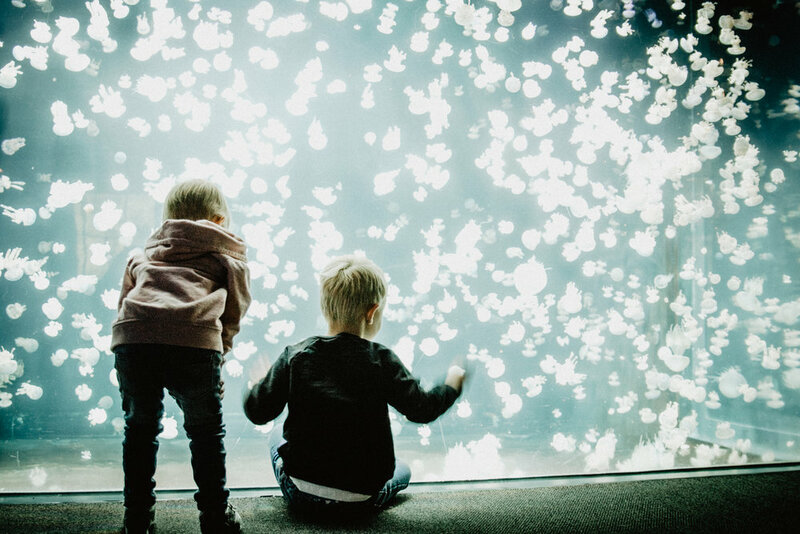 I think one of the most magical things about the Vancouver Aquarium is that everything seems so close. I can only imagine what Cairo is thinking as he just stared at those huge fish! This is one of the most photographed places at the Aquarium and I know why. It is so mesmerizing and incredible to see so many jellyfish! Any guesses as to how many jellyfish are swimming inside? This was Jakes favourite area: The Tropic Zone. 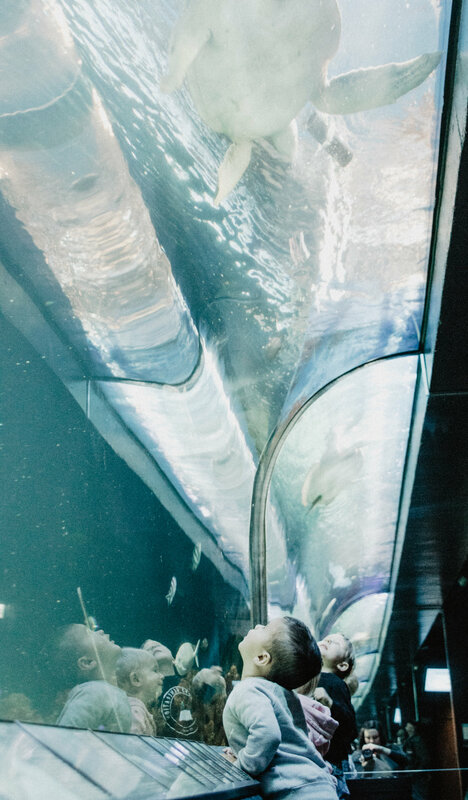 This wall to wall tank was filled with all different kinds of sharks, sea turtles and fish. We watched the sea turtle eat his meal of lettuce and pepper while the Zebra Sharks and BlackTip Reef Sharks swam overhead. The Vancouver Aquarium likes to surprise and delight their members by sometimes offering behind the scene looks! 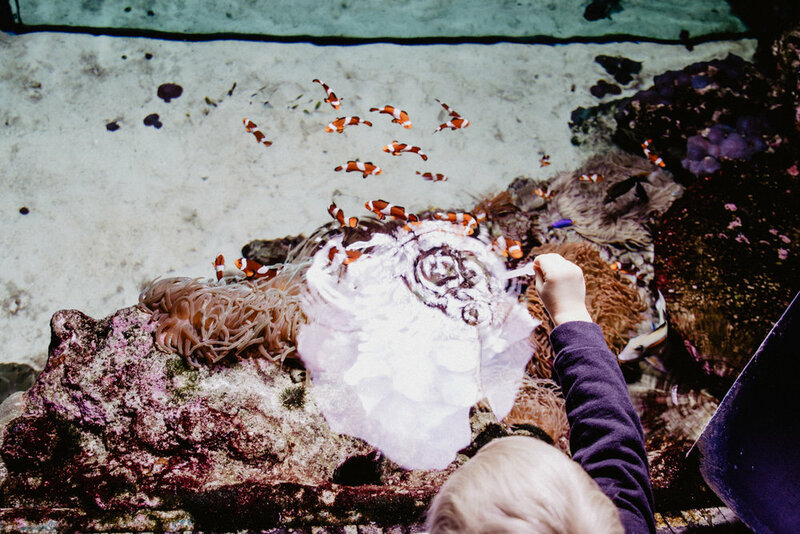 Our kids were blessed with the opportunity to feed the clownfish! This was a highlight for Jake and Cairo to be so close to a real life "Nemo!" What a magical day of wonder and joy! It was a pleasure to visit the Vancouver Aquarium on a beautiful fall day, it doesn't get more perfect than that! We live in a beautiful city and we love taking time each week to explore just a little more. This Christmas, slip an Aquarium ticket under the tree as a special family activity! We will be holding onto these memories for a long time.